Choose templates to share with project users and remove old templates when they’re no longer necessary. After you create a project, you can add templates to it. These templates are shared with the users you add to the project. You can add templates that you own, public templates, and templates from other projects where you are an editor, manager, or owner. Only project editors, managers, and owners can add templates to the project. Click next to the template that you want to remove. Removing a template from a project doesn’t delete the resource; it’s still available for use. Project membership is applied when you copy a template in a project. 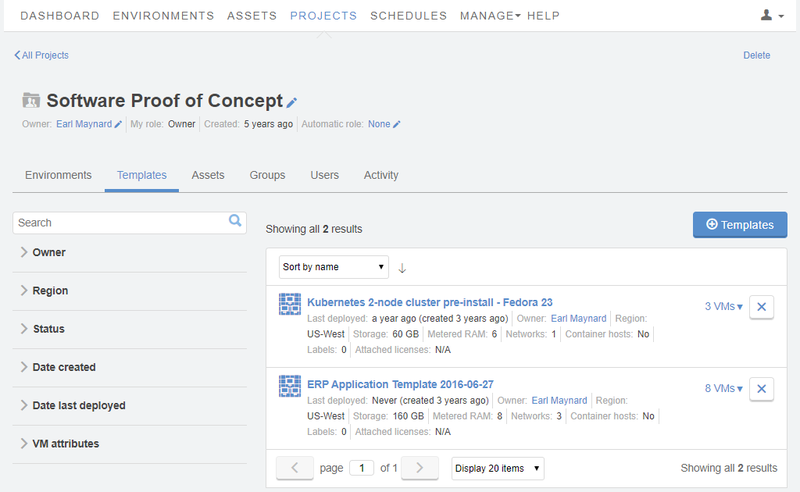 The new template is automatically added to the same project (assuming you have permission to add resources to that project).